Goodman is a specialist in Bible prophecy who resides in Tulsa, Oklahoma. He is an astute Bible student and gifted teacher who bases all that he writes and says on Scripture. In his book, Goodman argues that the Antichrist will rise from the Eastern wing of the old Roman Empire, coming from the ancient Greek sphere of influence that was incorporated into that empire. Getting even more specific, he argues that the Antichrist will come from the Seleucid area of the Greek sphere — specifically, from Assyria, meaning either modern-day Syria or Iraq. Although he never specifically states that the Antichrist will be a Muslim, he leaves this distinct impression by claiming that he will come from an area dominated by Islam. 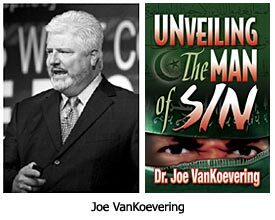 The second book I consulted that proposes a Muslim Antichrist is one published in 2007 by Dr. Joe VanKoevering. It is titled Unveiling the Man of Sin.3 The author is an eloquent and enthusiastic teacher of Bible prophecy. He serves as the host of a television program called “God’s News Behind the News.” He also pastors Gateway Christian Center in St. Petersburg, Florida. Next, he resorts to the same argument as Goodman, claiming that since Antiochus Epiphanes — a type of the Antichrist — came from the Seleucid or Assyrian area of the Grecian Empire (Syria and Iraq), the Antichrist must also come from that area. 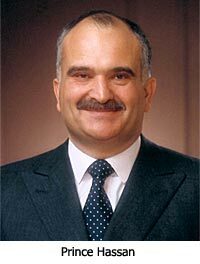 Having established what he believes are three requirements for the Antichrist — that he be an Assyrian from Jordan, that he be a prince, and that he be the King of Babylon — VanKoevering then spends the rest of his book trying to prove that the best candidate for the Antichrist is Crown Prince El Hassan bin Talal of Jordan!4 Prince Hassan is the brother of former King Hussein and was his designated heir to the throne of Jordan until the king changed his mind on his deathbed and gave the throne, instead, to his son, Abdullah II. Why does he point to Prince Hassan? First, he argues that “the closest genetic relationship of the Assyrians are with the native populations of Jordan and Iraq.”5 But what he overlooks is the fact that the Hashemite royal family of Jordan is not native to either Jordan or Iraq. The family came, instead, from Saudi Arabia. Members of this family were imposed upon the populations of Iraq and Jordan as kings of these nations by Great Britain after World War I. So, Prince Hassan does not even meet the first criterion stipulated by VanKoevering! Another reason for the confusion is that there is almost no end time prophecy in the Quran. The prophecies are found, instead, in the Hadith, which is a compilation of sayings by Mohammed that were pulled together from a great variety of sources some two hundred years after his death. Most of these sayings are hearsay and many are contradictory. Also, many are just made-up by people who had a much better understanding of Judaism and Christianity than did Mohammed. Richardson’s presentation of what Muslims believe about the end times is somewhat misleading, for he tries to argue that when the Islamic Messiah called the Mahdi appears, he will be able to instantly unite the whole Islamic world. This is highly unlikely since the concept of the Mahdi is one of the key elements in Islamic eschatology that separates the Shi’tes from the Sunnis. After the death of Ali, his heirs were overcome by a military leader named Mu’awiya Umayyad, who proceeded to establish the Umayyad Dynasty centered in Damascus. Sunnis refused to recognized his leadership since he was not a blood relative of Mohammed. They looked, instead, to the surviving heirs of Ali for their leadership. The blood line of Mohammed through Ali became extinct in 873 A.D. when the last Shi’ite Imam, Muhammad al-Mahdi, who had no brothers, disappeared within days of inheriting the title at the age of four. The Shi’ites refused to accept that he had died, preferring to believe that he was merely “hidden” and would one day reappear. This event is referred to in Islamic theology as “The Great Occulation” (the shutting off). 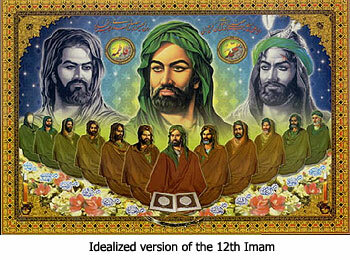 This boy was the Shi’ite’s Twelfth Imam, and he is the one they expect to return as the Islamic Mahdi. The Sunnis strongly reject this concept. The point is that if a Shi’ite leader suddenly appears on the world scene claiming to be the Mahdi, he will be rejected by the Sunnis (who constitute 90% of the Muslim world), and in like manner, any Sunni claiming to be the Mahdi, will be rejected by the Shi’ites. Also misleading is Richardson’s heavy reliance on quotations from the Hadith to establish his scenario for end time events. He treats the Hadith as if it contains inspired prophecy, when, in fact, it is nothing more than the ramblings of a demon-possessed man. Another problem with Richardson’s book is that he states that he got many of his ideas from Walid Shoebat.10 This man is a former Palestinian terrorist who became a Christian. He is an expert on terrorism, and he is an outstanding speaker on the subject. But when it comes to Bible prophecy, his ideas are very unorthodox, as Richardson’s book clearly reveals. One irritating point that Shoebat keeps making in his public presentations is that one must have an Eastern mindset in order to understand Bible prophecy. He claims that all of us in the Western world have completely misunderstood Bible prophecy because we interpret it from a Western mentality. This is not only a prideful viewpoint, it is also unbiblical. The Bible was not written in such a way so that only those with a particular mindset can understand it. It was written for all people to understand. There certainly are guidelines to interpretation (such as accepting the plain sense meaning), but any mindset can use those guidelines to understand what the Bible says, as long as the person is indwelt with God’s Holy Spirit. The heart of Richardson’s thesis (and Shoebat’s) is that the Antichrist will be a Muslim who will lead a Middle Eastern coalition of Muslim nations against Israel in the end times. In short, the empire of the Antichrist will be a regional one confined to the Middle East! 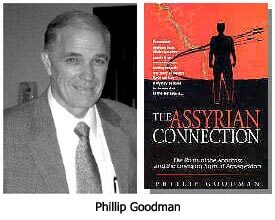 Like Goodman, Richardson asserts that the seventh empire of Revelation 17:9-11 is the Ottoman Empire, but unlike Goodman, he claims that the eighth and final empire will be a revival of the Ottoman and not the Assyrian. This scheme works better than Goodman’s because there is no need for a ninth empire since Richardson denies that the Antichrist will use the revived Ottoman Empire to build a worldwide empire. The revived Ottoman Empire will be the final Gentile empire. Yet, Richardson tries to dismiss this verse as nothing but hyperbole. He does so by quoting Daniel 5:18-19 where it states that Nebuchadnezzar, was feared by “all peoples and nations and men of every language.” Richardson then asks, “Did every single nation in the earth fear Nebuchadnezzar?”11 My answer would be, “Yes, all nations that were aware of him.” That’s all the statement means in its context. Richardson then quotes 1 Kings 4:34 which says that men of all nations came to listen to Solomon’s wisdom, “sent by all the kings of the world, who had heard of his wisdom.” He then asks derisively, “Was Solomon’s wisdom so impressive that not a single king in all the earth failed to hear of it?”12 That’s not what the verse says. Read it again. It says the kings who had heard of his wisdom sent representatives — not all kings. When I finished reading the book, I found myself wanting to ask Richardson and Shoebat what they are going to do with Psalm 83? This psalm portrays an attack on Israel by a Muslim coalition consisting of Jordan, Egypt, Lebanon, Gaza, Saudi Arabia and Assyria (Syria). The Bible clearly teaches that God will protect Israel against all such attacks in the end times (Zechariah 12:6). 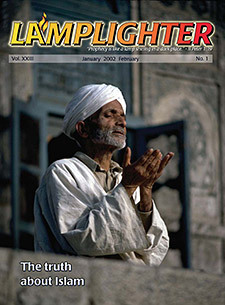 Regarding the calendar, Richardson’s point here is based on Daniel 7:25 where it says the Antichrist will alter “the times and the law.” It is true that the Muslims have a calendar different from the Western world, and it is true that if they ever could gain control of the world, they would enforce the observance of their calendar. But the Antichrist is going to change the calendar regardless of who he is. That’s because the calendar followed by most of the world dates from the birth of Jesus. At the end of his book, Richardson acknowledges that there is a major problem with his interpretation of end time events.19 The Bible says that the Antichrist will exalt himself above all gods and will display himself as being God (2 Thessalonians 2:3-4). Richardson admits that it is almost impossible to imagine that any Muslim would ever claim to be God. Such a declaration would violate the very heart of Islamic theology. An equally important fact that I think rules out the possibility of a Muslim Antichrist is that prophecy states the Antichrist will make a covenant with Israel that will guarantee the nation’s security (Daniel 9:27 and Isaiah 28:14-22). 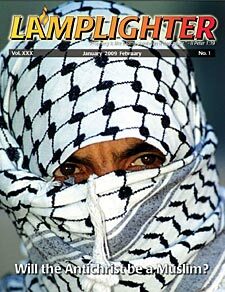 It is preposterous to believe that Israel would ever trust its security to a Muslim leader. There are other serious problems with Richardson’s scenario that he does not acknowledge. How, for example, does he explain the miraculous resurrection of the Roman Empire in the form of the European Union? It’s a development that prophecy experts have been telling us to watch for, and those alerts go back several hundred years. Is the revival of the Roman Empire just an accident of history? I think not. It is going to serve as the platform for the ascension of the Antichrist. The book rehashes Richardson’s arguments, but in much greater detail. One of the maddening things about the book is that it resorts throughout to convoluted reasoning and scripture misapplication. An example of the latter can be found in Shoebat’s explanation of Psalm 83 — a topic ignored in Richardson’s book.21 He attempts to prove that the war described in this psalm between Israel and its close Arab neighbors is one that will occur at the end of the Tribulation, after the Second Coming of the Messiah. 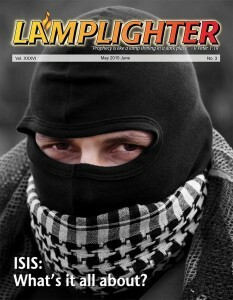 Thus, he argues it will be a conflict between forces led by Jesus and those led by the Antichrist. I was astonished to read this interpretation because I have studied this psalm in detail, and there is not one verse in it that even implies that Jesus will be present on this earth when the battle occurs. This kind of incredibly sloppy proof-texting can be found throughout Shoebat’s book. Whenever he wants to make a point, he goes fishing for a verse. When he finds it, he reels it in and applies it to the passage under consideration, whether it is related to that passage or not. Another example can be found in the second argument he gives for placing the Psalm 83 war at the end of the Tribulation. He says it must occur at that time because it is a war triggered by the Antichrist’s desecration of the Jewish Temple — a temple that will be rebuilt during the first half of the Tribulation. And what is his evidence? He quotes Psalm 79:1 — “O God, the nations have invaded Your inheritance; they have defiled Your holy temple.” Once again, he tries to prove a point about Psalm 83 by quoting a verse from an unrelated psalm. A good example of Shoebat’s tortuous logic can be found in his attempt to explain away the meaning of Daniel 9:26. The plain sense meaning of this passage is that the Antichrist will come from the people who will destroy the Temple. Shoebat and Richardson argue that the Roman legions that carried out the destruction of Jerusalem and the Temple in 70 AD were composed primarily of Arabs, mainly Syrians and Turks.23 They therefore conclude that the Antichrist will arise from the Syrians or Turks and will be a Muslim. This is really grasping at straws in the wind! It doesn’t matter whether or not the legions were composed of Australian Aborigines, it was the Roman government that decided to destroy Jerusalem, it was the Roman government that gave the orders, and it was Roman generals who carried out the destruction. Rome was the rod of God’s judgment and it is from the Roman people that the Antichrist will arise. I would also like to answer a question that Shoebat poses throughout his book and seems always to mention in his public presentations. He asks, “Besides the argument over whether Magog is Russia, can you cite any literal reference to a nation that God destroys in the End-Times that is not Muslim?” Yes, I can. It is Babylon, whose destruction is described in detail in Revelation 18. I say that because I am convinced that the “mystery” Babylon that is mentioned in Revelation 17:5 is the end time worldwide empire of the Antichrist that will be headquartered in Rome. I have written extensively on this point, and you can find an essay about it. Two final observations. First, beware of Lone Ranger interpretations of prophecy that are not widely shared. God does not reveal the meaning of prophecy only to a person or two. 2 Peter 1:20 says, “no prophecy of Scripture is a matter of one’s own interpretation.” Private and peculiar interpretations like the recent “Pre-Wrath Rapture,” usually make a big initial splash and then fade quickly when submitted to critical review. I want to thank Daymond Duck and Arnold Fruchtenbaum for the insights they shared with me concerning this topic. Both are Bible prophecy experts and authors of several books about prophecy. I also want to thank another Bible prophecy expert, Lambert Dolphin, for providing me with the quote from the writings of Ray Stedman. Read more about Islamic Eschatology. 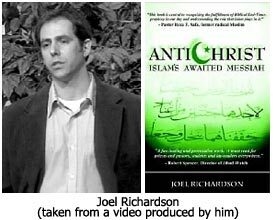 Joel Richardson, Antichrist: Islam’s Awaited Messiah, (Enumclaw, WA: Pleasant Word, 2006), 276 pages. 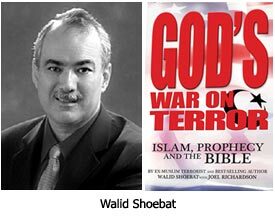 Walid Shoebat and Joel Richardson, God’s War on Terror: Islam, Prophecy and the Bible, (Top Executive Media, 2008), 512 pages.